Via Deadline it has been confirmed that the History Channel‘s historical drama Vikings will be coming to an end after the airing of its 6th season. Which, just recently had been renewed by the network in September of 2017, a few weeks before the series’ Season 5 officially launched. Vikings followed the adventures of Ragnar Lothbrok (Travis Fimmel) as he told the tales of his band of Viking brothers and family. 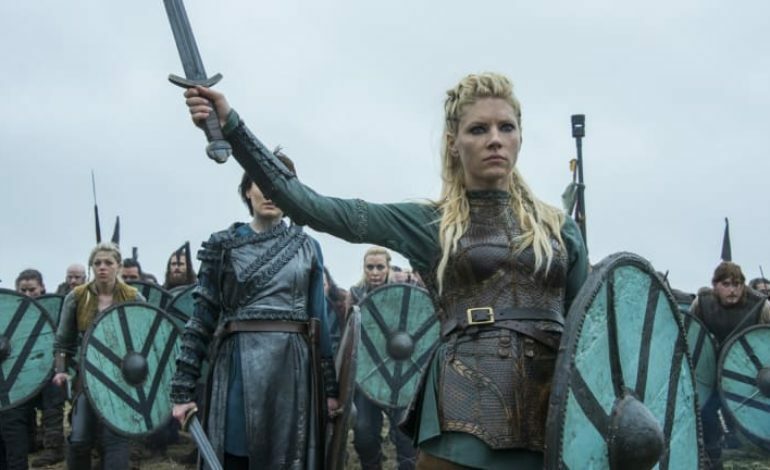 With the series being based on actual historical figures and events, Vikings had a finite number of stories to tell, and had been building up towards an end, set by series creator and writer Michael Hirst. Vikings, which marked the History Channel’s first foray into original scripted programming, is currently airing new episodes of its fifth season Wednesdays at 9/8c, with the finale slated for Jan. 30th. The show this season has averaged two million weekly viewers, down 12 and 29 percent from Season 4 ratings and viewership. Its most recently aired episode (on Jan. 2) delivered 1.6 million, down 25 and 47 percent from November’s Season 5 debut. The series was a surprising breakout hit, when it originally aired its first season in 2013 and remains History’s #1 scripted series of all time. Successfully overcoming a noted number of issues involving casting changes, the exit of the series’ original lead (Fimmel) whose character Ragnar’s story arc came to an end during Season 4. According to reports, the network will be re-teaming with Hirst in the hopes to develop a spinoff of the series. The new project reportedly will “continue the Vikings saga,” but any additional further details haven’t been confirmed yet. History’s next scripted drama, Project Blue Book from Robert Zemeckis and A+E Studios, premieres January 8th, while the Don Handfield and Richard Rayner helmed historical drama, Knightfall, returns for a second season in the spring.